Wasps are predators that are very territorial, returning to the same nesting location year after year. 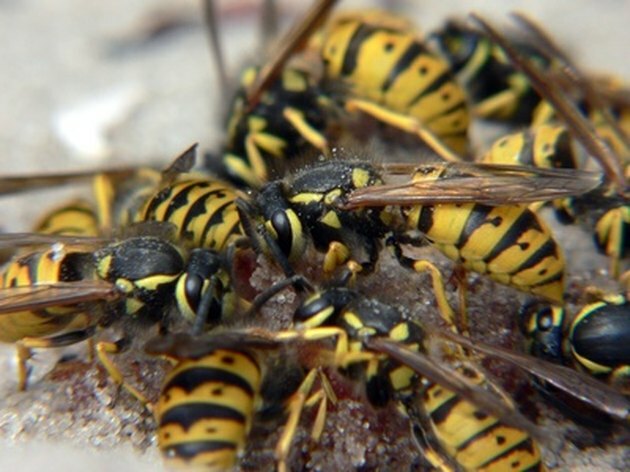 The best way to keep wasps away is to prevent them from returning to build a new nest. If they return successfully, exterminating them before they multiply is your next best defense. While many commercial products exist to exterminate wasps, a product commonly found in most garages or homes will also do the trick. WD-40 helps to effectively kill and prevent wasps from nesting around your home. A wasp sting hurts and, for those with allergies, can be very dangerous. Wasps form horizontal, paper nests. Prevent wasps from returning to old nesting locations. Remove any remnants of the old wasp nest by knocking it down with a broom. Discard the old wasp nest in a sealed bag. Spray the location of previous wasp nests using WD-40. Apply the WD-40 liberally underneath gutters, eaves and anywhere else wasps have been spotted and are likely to build nests. Saturate active wasp nests with WD-40. Do so in the evening when temperatures are cooler, as wasps do not move as quickly in cooler temperatures. Err on the side of caution and really soak the nest. Wait an hour to ensure all wasps have been killed. Knock the nest down with a broom or other long-handled tool and place it in a plastic zip bag. Wear rubber gloves to protect your skin in the event that one or two wasps are still alive. 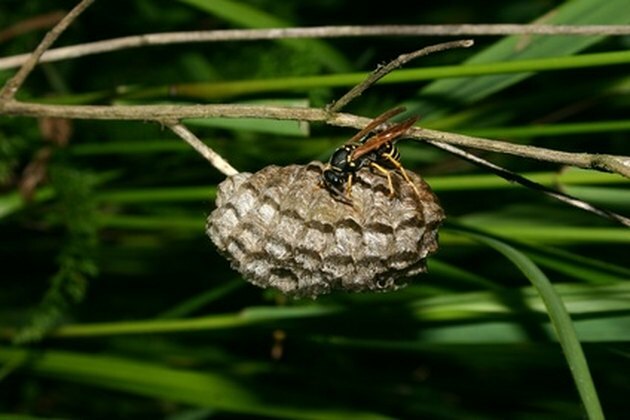 Why Do Wasps Go Dormant After the Nest Is Destroyed?